Marjoram essential oil offers very positive effects on mental, emotional, and psychological aspects. It has soothing properties that help relieve hyperactivity disorders, stress, and anxiety. The Marjoram plant from which the essential oil is extracted is popularly referred to as "Happiness Herb," "Plant of Love and Longevity," or "Joy of the Mountains." Its oil can be used as analgesic, anti-spasm, and anti-inflammatory for relevant conditions such as arthritis, sprains, and strains, and migraine. It may also be used for symptoms of indigestion and dyspepsia for its carminative properties. It also has bronchodilator effects that can relieve asthma attack, cough, and bronchitis. Use Marjoram oil in burners or diffusers to treat these conditions as well as to relieve fatigue, anxiety, nervous breakdown, and to improve blood circulation. While its side effects include decrease in libido, it can improve menstrual flow and relieve dysmenorrhea. Its relaxant effect may improve sleeping pattern. You may add a few drops of Marjoram to cream or lotion to treat Perniosis or Chilblains because it has a significant warming effect. 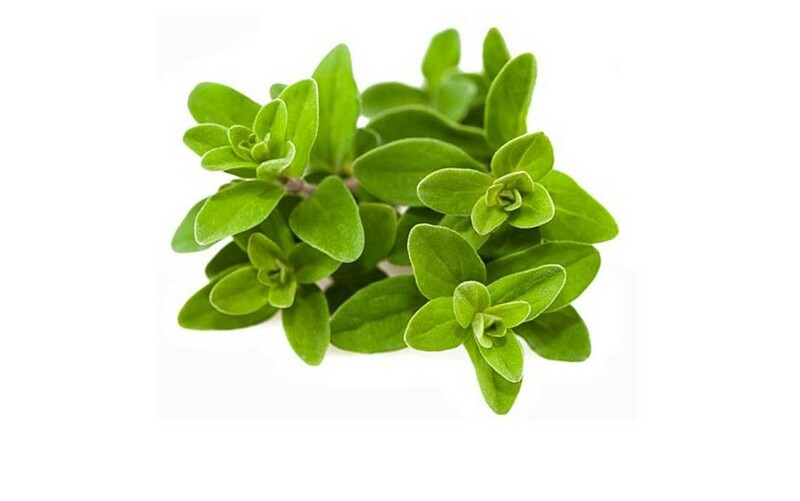 When diluted with a carrier oil to make a massage oil or added in a bath, Marjoram oil can also be used for bronchial asthma, joint disease, lumbar pain, respiratory disease, poor blood circulation, common colds, coughs, removal of toxins, physical fatigue, severe headaches, emotional stress, acid reflux, sleeping disorders, dysmenorrhea, migraine, muscle aches and pains, rheumatism, sinus problems, panic, tension and depression. While there is no risk recorded yet for Marjoram essential oil, it is not recommended for pregnant and lactating women. Marjoram is one of the integral ingredients in Rainbow Technique which is a great treatment after hard workout. Marjoram is best blended with Cedar Wood, Bergamot, Chamomile, Eucalyptus, Tea Tree, and Cypress. Get Your Marjoram Sweet Essential Oil Now!